West Bay, Bridport, Dorset - Marina & Slipway at Bridport Harbour. 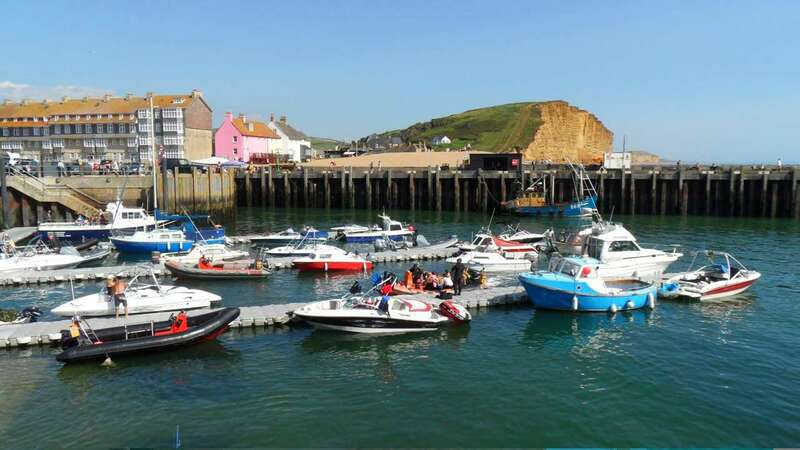 The outer harbour at West Bay (Bridport Harbour) has facilities for launching private boats. Upon arrival, go to the Harbour Master's Office to pay launching fees before attempting to launch your vessel. The marina has a dual width slipway capable of launching two boats at the same time. Note that jet skis are banned from using the harbour and should not be launched from the beaches. The slipway is at the south-western side of West Bay. After launching your boat, you can park your trailer in the area at the top of the slipway. However, your car must be parked in one of West Bay's car parks. The main Long Stay car park for West Bay exists to the left of the mini roundabout as you enter the village. A second Long Stay car park is located behind East Beach at the next left turn. A small Short Stay car park exists on the Mound on the western side of West Bay. Short Stay parking is also available along the Esplanade behind West Beach. Public toilets are at the main West Bay Road car park to the left of the mini roundabout when entering the town. Public toilets are also located at the south-western corner of the inner harbour, behind the Harbour Master's office on the Mound. Baby changing facilities are provided. There are also disabled toilets.